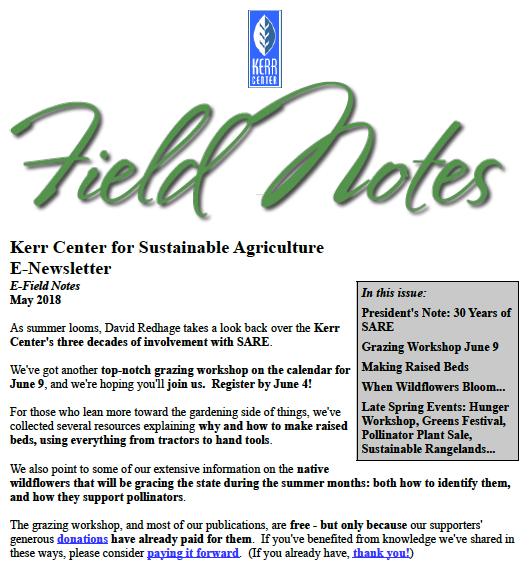 As summer looms, David Redhage takes a look back over the Kerr Center’s three decades of involvement with SARE. We’ve got another top-notch grazing workshop on the calendar for June 9, and we’re hoping you’ll join us. 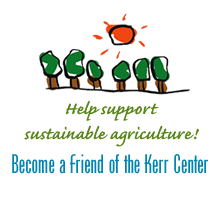 Register by June 4! For those who lean more toward the gardening side of things, we’ve collected several resources explaining why and how to make raised beds, using everything from tractors to hand tools. We also point to some of our extensive information on the native wildflowers that will be gracing the state during the summer months: both how to identify them, and how they support pollinators.